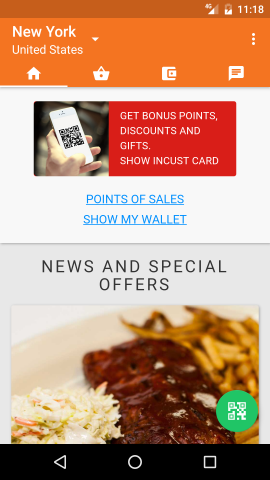 inCust mobile app for customers is not only a digital card to identify the customer, but also is a communication hub of the companies that have already implemented inCust with customers. The app contains a mobile directory of companies and businesses; it gives customer an opportunity to ‘talk’ to the brand by writing text message and provides news about their favorite companies. Another important detail is a user wallet with information on accumulated bonus points and gifts in each business. For owners of smart watches there is also a special offer. 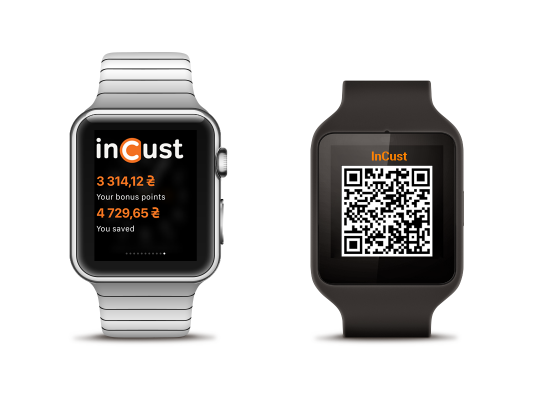 After installing inCust app to your smartphone a digital card with the QR-code will appear automatically on the smart watch and allow crediting bonus points in stores just in a single hand movement. For business process of crediting is in same way as with digital card from mobile app.